Owner custom built this home for he & his wife expecting to retire here so they put extra love & attention to detail; their loss your gain. 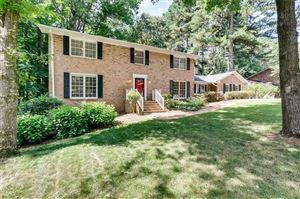 The rocking chair front porch in this Chamblee neighborhood close to Keswick and Blackburn park invites you to come in and relax. Master suite plus a guest suite are both located on the main level. The large kitchen opens to a keeping room & great room. Finished terrace level has wood tile floors, sliding barn doors, a huge entertainment area & a full kitchen, bed & bathroom. Top floor features an office space + 3 extra rooms.